Yes. Please. I didn’t have enough energy to make my own recipe this week considering we were all so SICK this weekend. 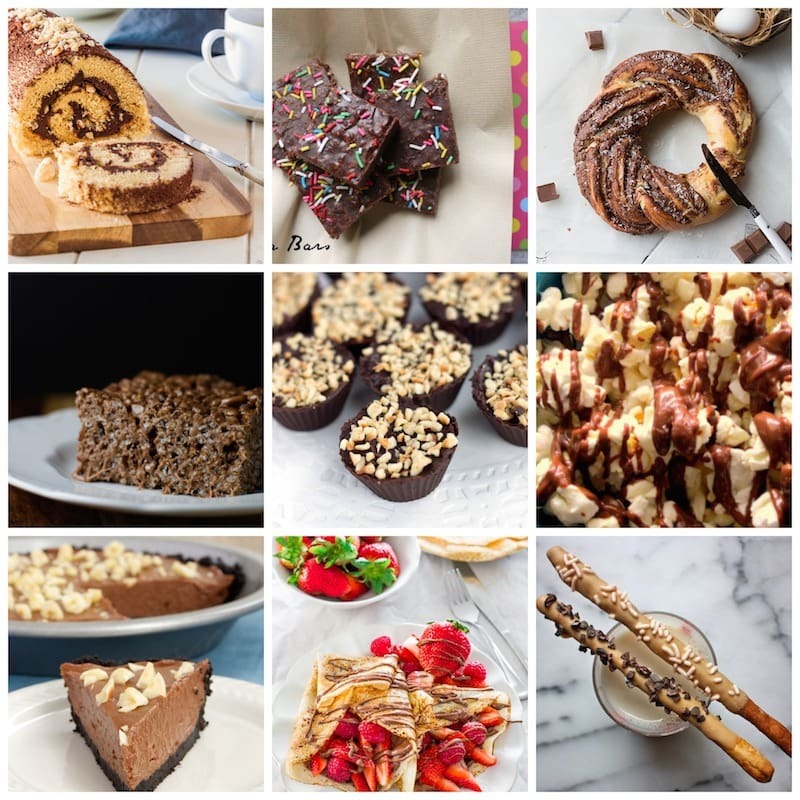 Instead, I made a little round up of the most amazing Nutella recipes. Are you kidding me? I’ve been doing it all wrong. There’s endless possibilities with that nutty spread. Click on the above links to check out the recipes for each of these amazing treats. And if you end up making any of them – send me a piece!!! To see what Audrey made for today’s ‘Getting Gorgeous In the Kitchen’ post, click here.